Drive high get a DUI. Slow reaction time, decreased coordination, loss of attention to the road, difficulty judging time and distance. Aggressive, reckless driving, increased tendencies to take risks, confusion, difficulty concentrating, impaired vision and coordination. Dizziness, and drowsiness, lack of coordination, altered perceptions, impaired memory, and slower reaction time. Slow reaction time, reduced coordination, drowsiness, mental confusion, visual impairment. 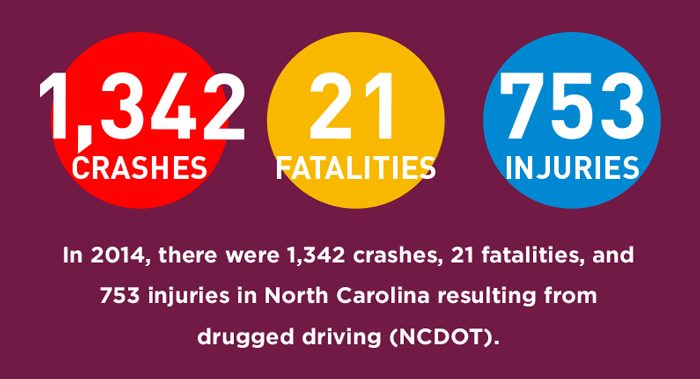 Drugged driving is driving under the influence of drugs other than alcohol. Drugs can impair vision, reaction time, judgment, hearing and task processing/accomplishment (EMSA). This impairment can result from prescribed, over-the-counter, or illegal drugs. 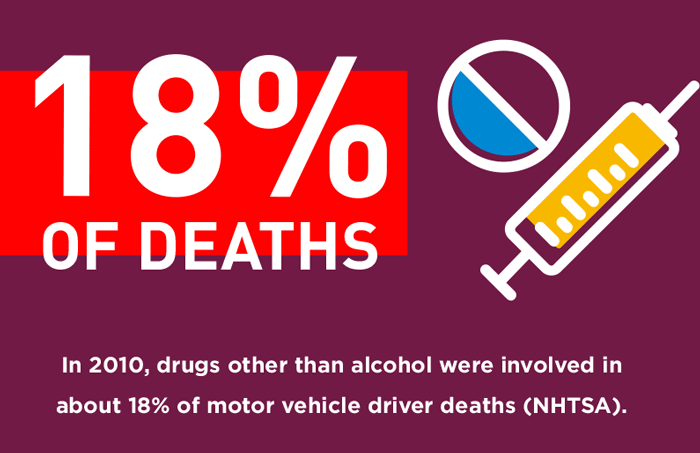 If you are taking prescriptions, talk to your doctor about any potential impacts on driving abilities. 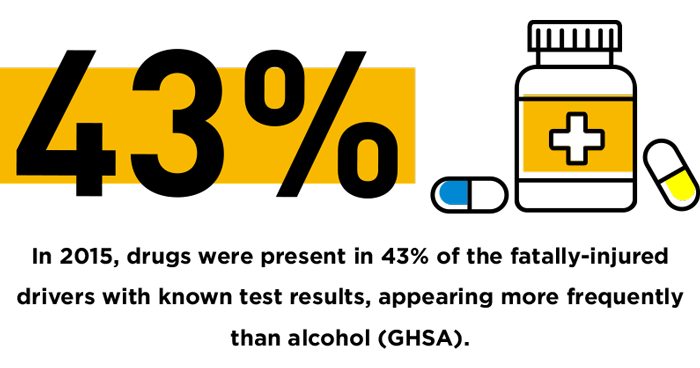 For information and resources about drug addiction, visit the North Carolina Division of Health and Human Services.